Zapper, Nintendo Wii’s latest related device has already hit the stores and currently retails for $19.99. The game Link’s Crossbow Training is part of the new pack. The new gun-like device combines a a Wii Remote and Nunchuk and will no doubt be a good promoter for upcoming games where accuracy plays an important part. "Our new Wii Zapper interface opens up a huge range of experiences for players and developers," says George Harrison, Nintendo of America’s senior vice president of marketing and corporate communications. "Just as the Wii Remote put Link’s sword in your hands, now you physically pick up Link’s crossbow, take aim and shoot targets as though you were right in Hyrule. It’s another example of how Nintendo continues to change the way people interact with games." As stated, the first game to take advantage of the new controller is the bundled Link’s Crossbow Training. The game puts players through a series of increasingly difficult targeting tests, ranging from hitting the bull’s-eyes to sending an army to digital heaven. There are already several games that feature Wii Zapper support. Electronic Arts’ Medal of Honor Heroes 2 will march onto the battlefield, followed by Capcom’s Resident Evil: The Umbrella Chronicles and SEGA’s Ghost Squad. 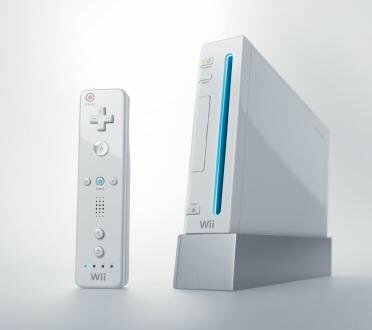 Nintendo also announced that new will controllers will join the existing list in the near future, with Wii Wheel and Wii Balance Board being already scheduled for 2008.